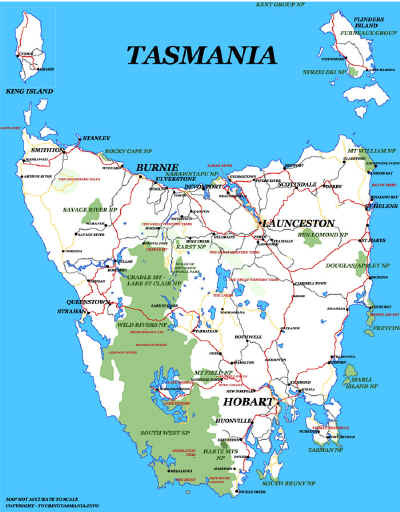 The North West Coast has all that Tasmania has to offer. 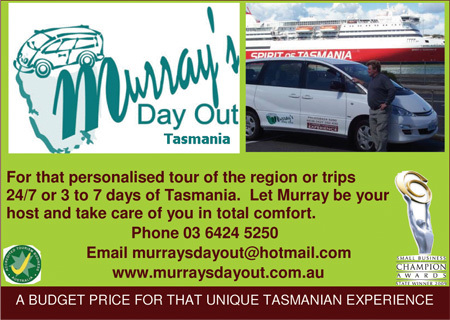 From beautiful beaches to the best in rain forests and mountain scenery in the state. Add to this a well dispersed population providing a wide range of accommodation and culinary options. Over one quarter of the states 460,000 people reside on "The Coast". 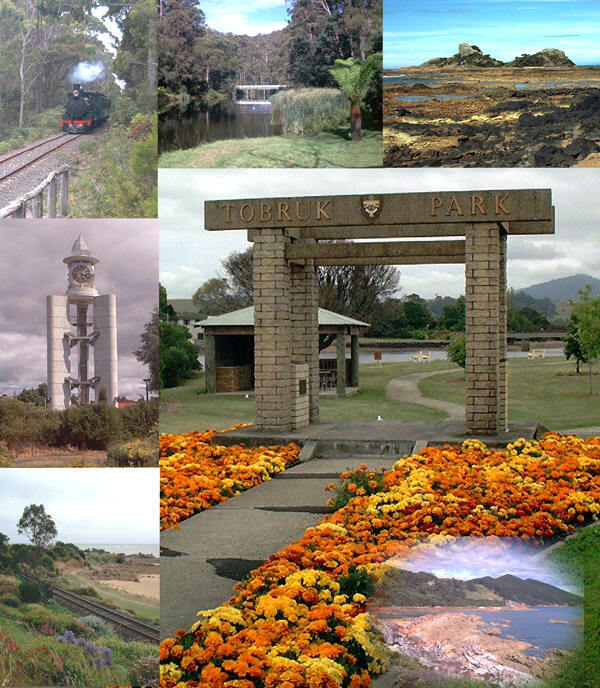 The picture to the left is Tobruk Park - a fine example of the gardens that adorn the whole North-West Coast. Clockwise from the top left - Don River railway at Devonport. Fern Glade, Emu River, Burnie. Goat Island just west of Ulverstone. Sisters Beach from Boat Harbour. Gardens by the railway line at Penguin. Memorial clock at Ulverstone.